The Safety Electrical Group (SEG) is a full service electrical company with thousands of satisfied clients across the MENA region since 1982. 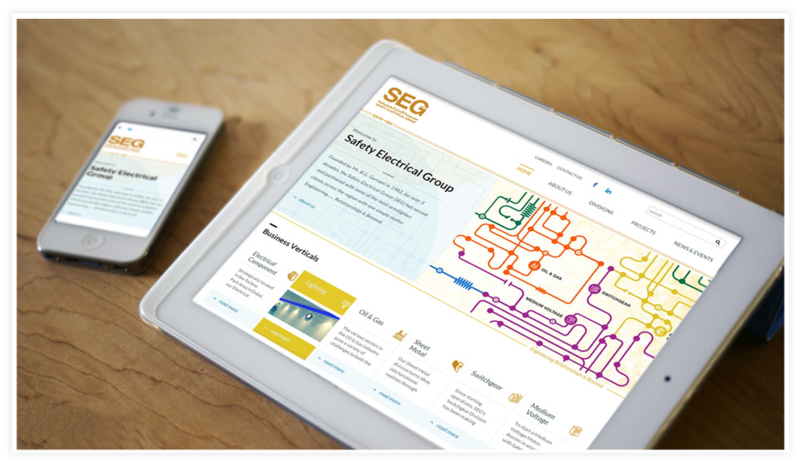 SEG services some of the most prestigious companies in the region and they needed a website that highlights their position in the industry and which also appeals to their clients, partners and prospective clients from an aesthetic and usability perspective. 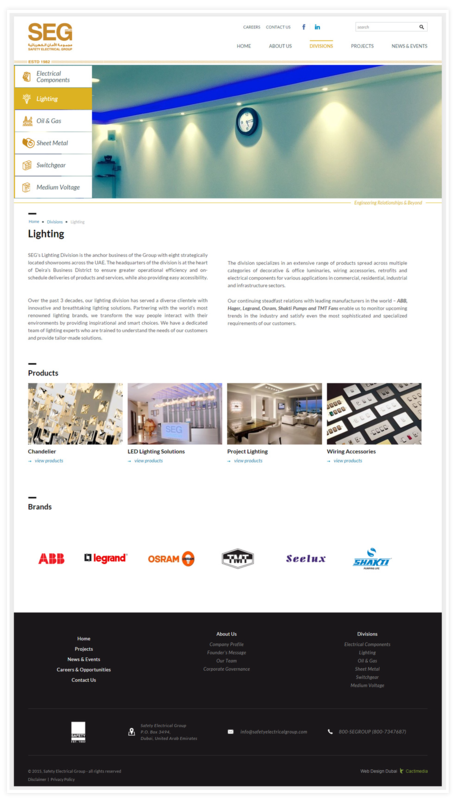 We started with putting together the homepage and found an innovative way to highlight their strengths without making the homepage too cluttered. The homepage shows their business verticals just below the fold in a very clear and easy to understand manner – this makes it easy for those just scanning the website to pick up on important pieces of information. 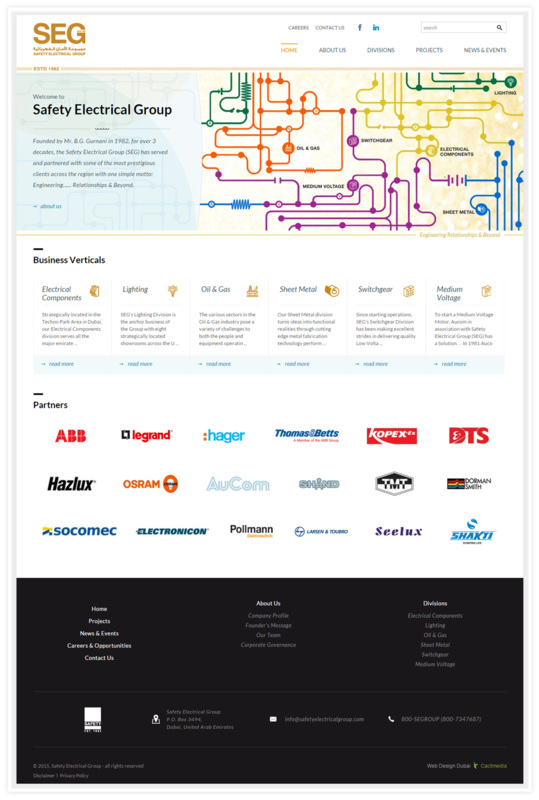 Further down we have visually depicted their full range of partners. Keeping the latest web design trends in mind, we went with an extended footer with links to all the main pages on the SEG website followed by their contact information – again, this makes it easy for skimmers to locate their contact information in a matter of seconds. We have also incorporated a stylish and very helpful dropdown in the top menu – each dropdown has its own image and a brief piece of text – this makes it easy for visitors to navigate the website more effectively. 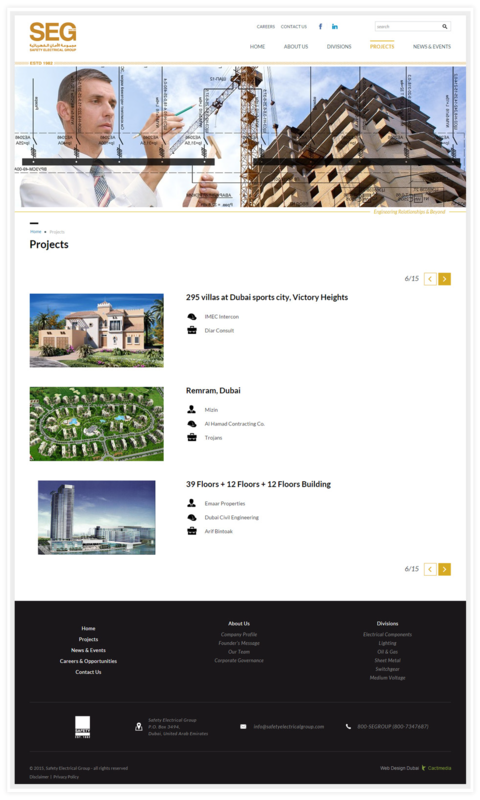 Overall the website it neat, user friendly, aesthetically appealing and follows the newest trends in Usability and web design in Dubai.